The first time you saw your current home, you probably started a mental list of all the things that you wanted to change. Remodeling your home can be done all at once or in steps. This year you can tackle the kitchen, and next year, you can finish the basement. There is no rush to create your version of a dream home. 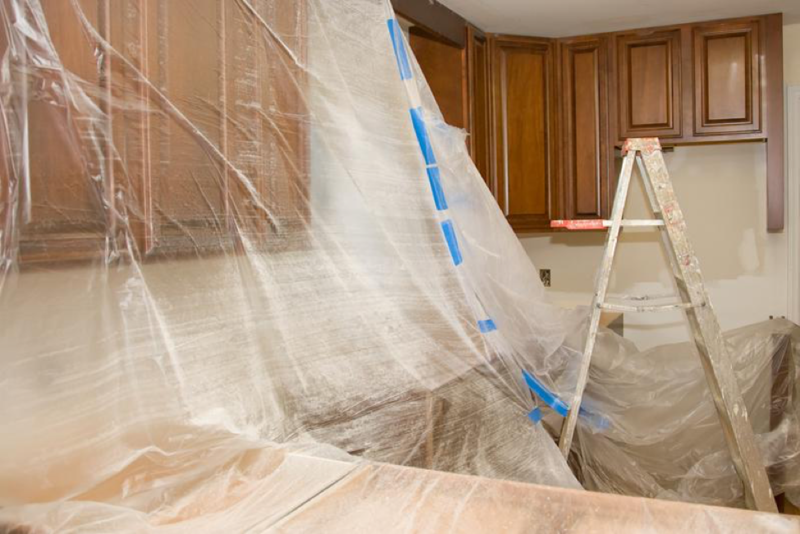 When you take on a remodeling project, there will be disruptions in the house, but here are three ways to make it easier on yourself and your family. There are plenty of reality TV programs that show homeowners rolling up their sleeves to help with their remodels. There is nothing wrong with wanting to pitch in where you can, but that shouldn’t come at the expense of getting in the way. It can pay off to get qualified help for your remodel, and that starts with picking the right contractor for the job. The contractor is the person who is going to hire a crew, purchase materials, and make sure that your project is done to your specifications. Just about every remodeling project requires you to shift a lot of things around. It also means that your home is probably going to be full of dust. You can manage those two issues by storing your furniture. There are advantages to storing your furniture during a remodel project in your home. The first benefit is that you’ll project it from the floating debris that could make its way through the house. You’ll also eliminate the risk of the furniture getting damaged. Your furniture will be much safer in a storage unit than stacked in a pile in another room. The advantages of storing your furniture during a remodel project will be worth the extra effort. Your project could require that work crews show up early in the morning to your home for one to two weeks and potentially making a lot of noise. During a home remodeling project is the perfect time to take a mini-vacation. You could schedule to be away from home for the duration of the project or just take a little trip toward the end. When you return from your vacation, you’ll be walking into a new home. Your contractor can keep you updated on the progress with photos by text. Once you’ve locked down your design and worked out a budget, the remodel just has to be carried out. By focusing on ways to make it easy on yourself, you will be helping the process along every step of the way.